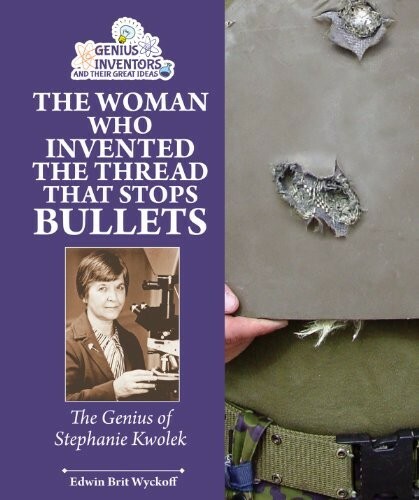 Stephanie Kwolek's invention of Kevlar has saved countless lives over the past 40 years. Stephanie Kwolek's invention of Kevlar has saved countless lives over the past 40 years. Kevlar is a fiber five times stronger than steel that is now used in numerous products ranging from boots for firefighters to spacecraft — and most famously, in bulletproof vests. It's estimated that since Kevlar's introduction to body armor in the 1970s, the lives of over 3,000 police officers have been saved, as well as those of innumerable soldiers and others in conflict zones. On the day that the pioneering chemist passed away in June 2014 at the age of 90, DuPont announced that the one-millionth protective vest made using Kwolek's lifesaving invention was sold. Born to Polish immigrants in 1923, Kwolek grew up near Pittsburgh, Pennsylvania, and earned a degree in chemistry from Margaret Morrison Carnegie College, now a part of Carnegie Mellon University. Kwolek initially planned to become a doctor but could not afford medical school. She accepted a position as a chemist with DuPont in 1946 on what she thought would be a temporary basis until she could pursue her interest in medicine. After becoming engrossed in research, she decided that chemistry was her passion and eventually stayed at DuPont for over 40 years. Kwolek discovered Kevlar while working as part of a team trying to find alternatives to replace the steel used in radial tires in order to make cars lighter in anticipation of a future gas shortage. In 1964, she was trying to convert a solid polymer into a liquid form and her creation turned out thin and opaque rather than the syrupy mixture she expected. Normally, this type of result would be considered a failure and the solution would be thrown out. However, she persisted with her investigation and discovered that, after the liquid was removed, the fiber was unusually stiff. Kwolek and her fellow researchers were shocked by the results; she said in a later interview: "I never in a thousand years expected that little liquid crystal to develop into what it did." Further research revealed the vast potential of Kwolek's discovery and DuPont eventually invested $500 million to develop it for commercial application. The recipient or co-recipient of 17 patents, Kwolek has been widely honored for her contributions to science, including the 1999 Lemelson-MIT Lifetime Achievement Award, 1996 National Medal of Technology, the American Innovator Award, as well as being inducted into the National Inventors Hall of Fame. DuPont also awarded her the company's Lavoisier Medal for outstanding technical achievement and she remains the only female employee to ever receive that honor. To Kwolek, however, who headed polymer research at DuPont until her retirement in 1989, the impact of her work was her greatest reward. In an interview with the Chemical Heritage Foundation, she observed: "When I look back on my career I'm inspired most by the fact that I was fortunate enough to do something that would be of benefit to mankind. It's been an extremely satisfying discovery. I don't think there's anything like saving someone's life to bring you satisfaction and happiness." Stephanie Kwolek never expected to be hailed for saving thousands of lives — but the American chemist did just that when she stumbled across poly-paraphenylene terephtalamide, better known as Kevlar! In 1964, her group was trying to create a lightweight, strong fiber that could be used in tires when a solution she was creating went wrong, turning out thin and opaque. Fortunately, she decided to have her solution tested and discovered that the fiber was tremendously tough! 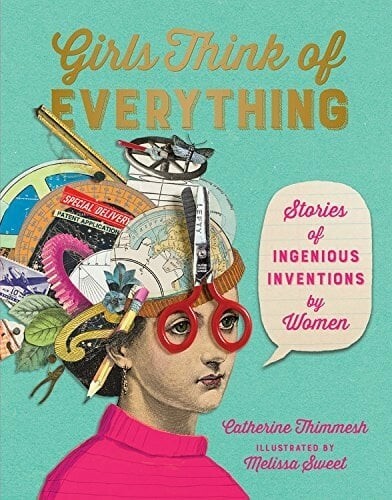 This book provides an accessible introduce to Kwolek's life and the many uses of her unexpected invention. 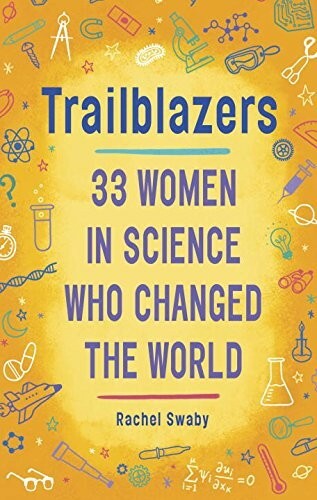 Middle grade kids are eager to learn more about the people who have changed our world — so they're the perfect age to introduce to this inspiring collection of influential women in science! 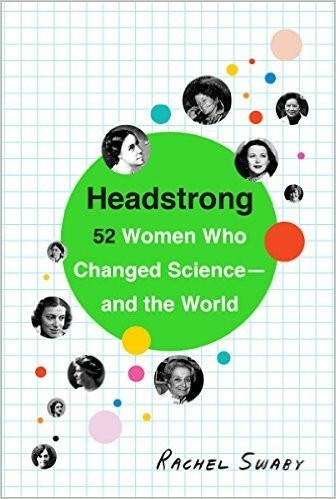 Rachel Swaby, the author of the bestselling science book for teen and adult readers, Headstrong: 52 Women Who Changed Science – And The World, profiles 33 women in this book, including groundbreaking figures like Virginia Apgar, Stephanie Kwolek, Sally Ride, and Rachel Carson. Best of all, Swaby emphasizes that it takes work, practice, and determination to become a brilliant scientist, encouraging kids to foster their curiosity about the world and pursue their love of science.